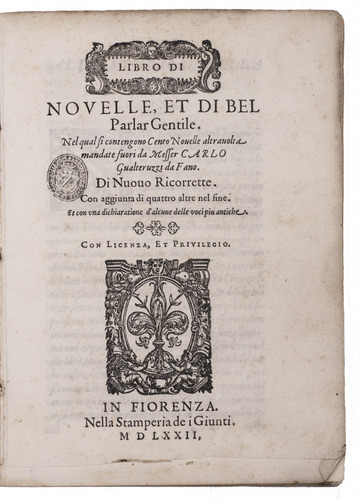 Third edition (usually called the second), in the original Italian, of the first collection of native Italian stories, best known under the titles Il novellino and Le cento novelle antiche, written up as a collection between 1281 and 1300. Boccaccio borrowed and adapted eight of them when he wrote his Decameron between 1348 and 1353. The stories are among the first to present ordinary people as protagonists in stories of everyday life. They are as bawdy as Boccaccio's but more conservative in their presentation of relations between the sexes. 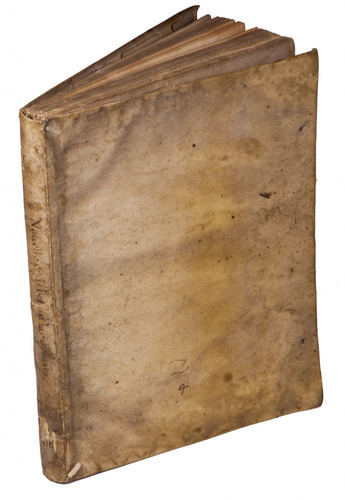 But while some stories from the Decameron were printed already in 1470 and it remained a celebrated literary standard work to our day, the present stories appear not to have been printed until 1525. An undated edition appeared soon after. Both were soon largely forgotten and survive in only a handful of copies. 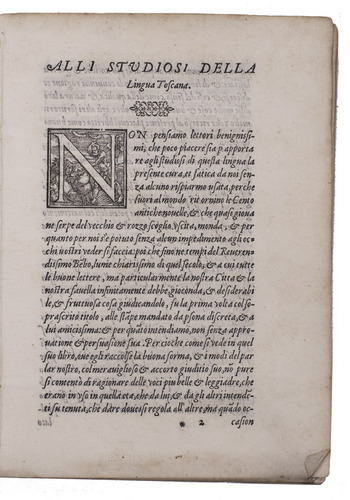 The present 1572 edition is a much fancier production than the earlier editions. It quickly became the standard text and all editions followed it until 1825. But in the heat of the Counter-Reformation, with the Catholic Church fiercely guarding its reputation against accusations of corruption and immorality, these stories could not be printed as they stood. 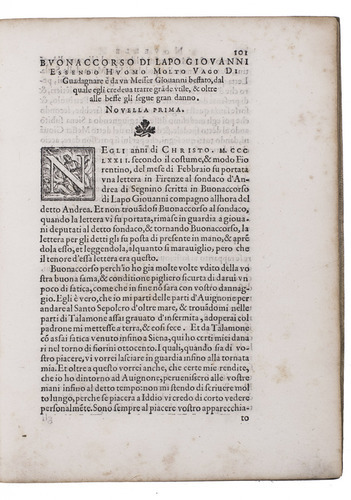 Borghini's censorship centred on religious elements. With a 17th-century(?) 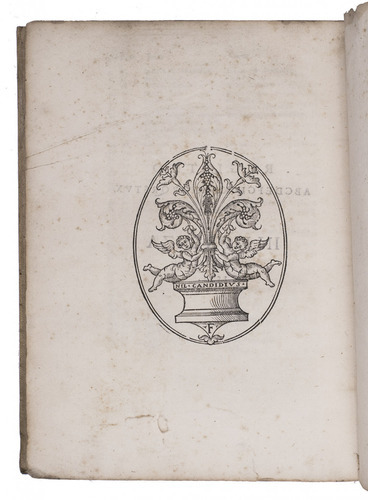 armorial library stamp on the title-page. After an attempt to remove an inscription from the foot of the title-page (leaving a stain on the facing flyleaf) an owner cut off 1 cm of its foot margin, not approaching the text. With a tear in the blank leaf 3*6 and in the blank foot of the final leaf V8, and minor foxing, but still in good condition. The cover has pulled loose from the bookblock at the inside front hinge. 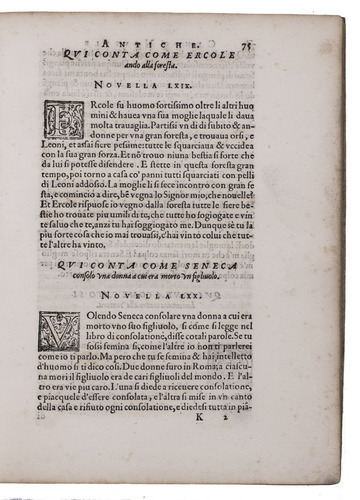 Adams G1358; Joseph Consoli, ed., The Novellino or One hundred ancient tales: an edition and translation, 1997; EDIT 16, 47120; ESTC 805025.